All new Renault vehicles are covered by some of the most comprehensive warranty terms in the market. All new passenger vehicles come with a 3-Year, unlimited km Warranty and all commercial vehicles come with a 3 year, 350,000km Warranty. It applies only to vehicles imported and distributed by Renault New Zealand on new Renault registrations from 1 March 2018. Renault warrants all genuine parts and accessories fitted by a Renault dealer at the time of new vehicle purchase to be free of defects in material or workmanship for the period of the new vehicle warranty. If purchased after delivery of the vehicle and fitted by a authorised Renault Dealer, genuine parts and accessories are covered by Renault's 1 Year/20,000 km Warranty. Genuine Parts and Accessories purchased over the counter are covered from the date of sale by Renault's 1 Year/20,000 km Warranty. 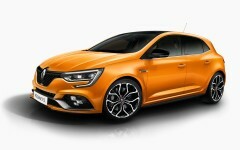 Renault will repair or replace any part on the vehicle (except those items listed in the Customer Information Booklet under the section titled "What is not covered") which proves to be defective in materials or workmanship, free of charge, subject to the terms and conditions of that warranty.